Juxtaposing American and Asian art is a legacy of the founder of our museum, Detroit industrialist Charles Lang Freer. He believed in a universal language of beauty that resonated across time, space, and cultural diversity. Freer’s taste in American art was formed in the Gilded Age, but he favored refinement over ostentation. 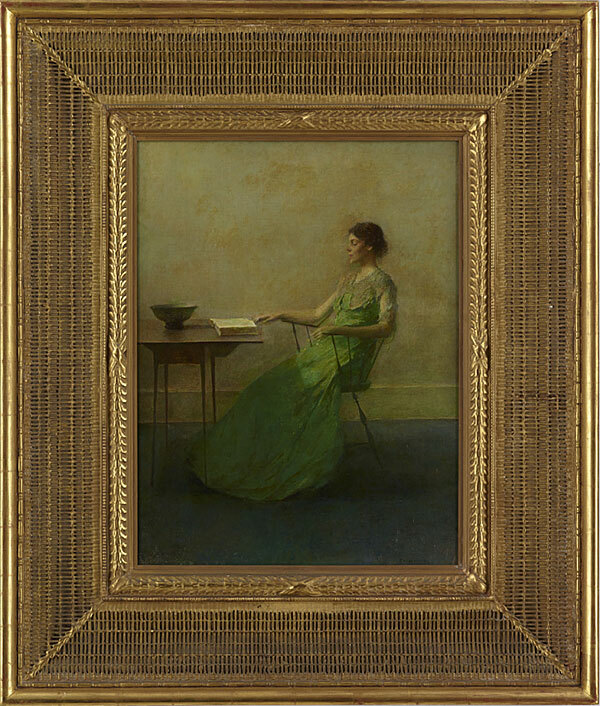 In the 1890s, works by Dewing, Tryon, Thayer, and especially Whistler were admired—and sometimes criticized—as highly refined works intended for connoisseurs. By focusing on a small group of stylistically similar artists, Freer ensured the paintings in his collection “speak” to one another and reward repeated viewing by revealing “new beauties.” Look, and look again, to appreciate shared aesthetic harmonies and subtle differences. Freer disdained the avant garde abstraction that transformed American art after World War I. He forbade additions to his American collection after his death in 1919, and it remains a time capsule of Gilded Age aestheticism. Nevertheless, it was through American art of his own time that Freer developed the habits of quiet contemplation and intelligent comparison that he hoped to share with future generations of museum visitors.